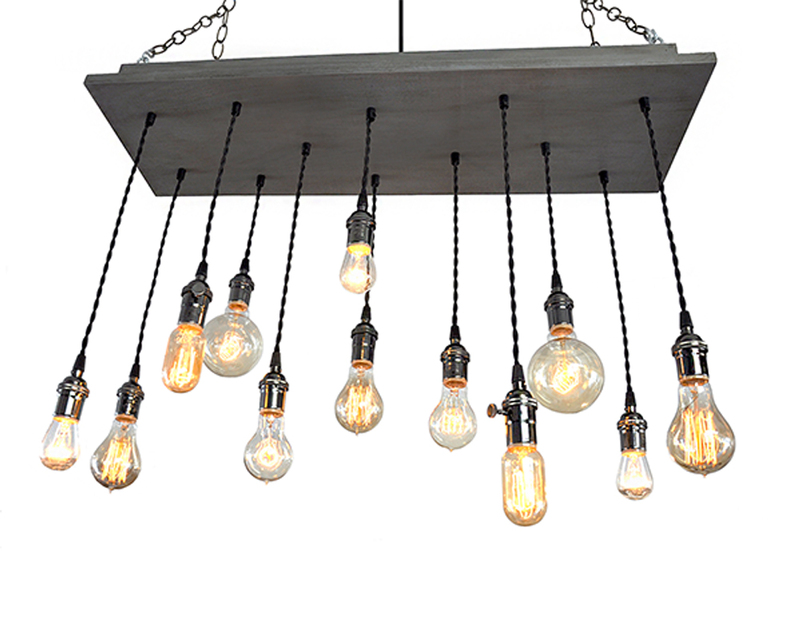 Add an urban look to your space with this industrial style multi-light chandelier. 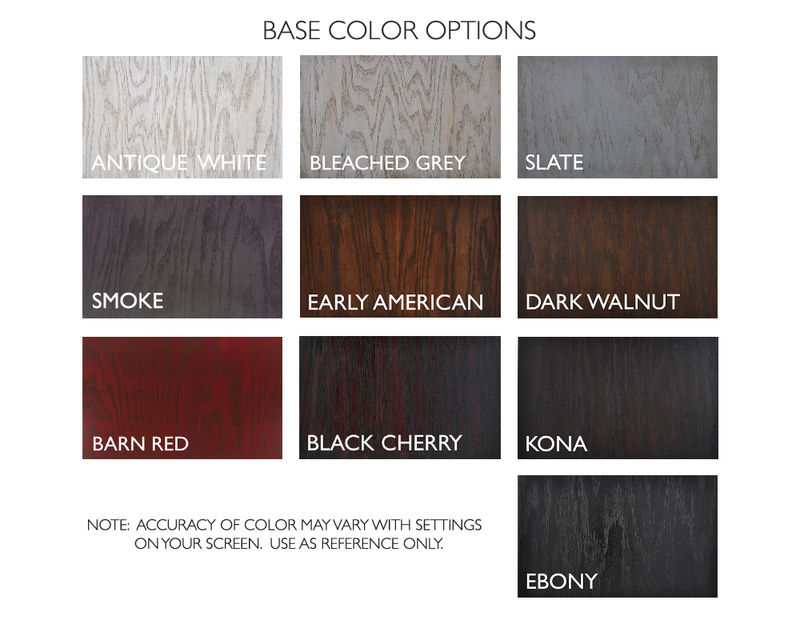 It features a rectangular wood base in our slate gray finish with 12 suspended pendant lights. 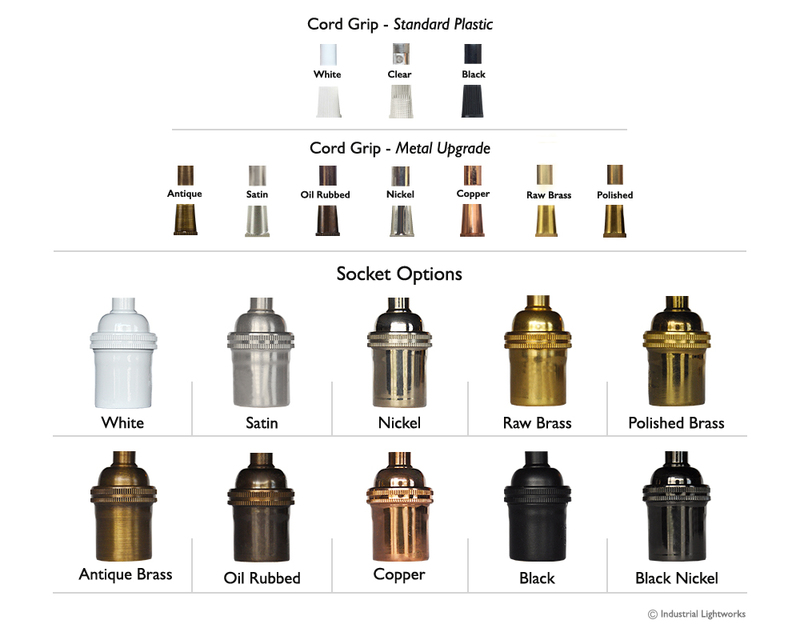 The solid brass sockets are black nickel, and the vintage style pendant cord is black twist. 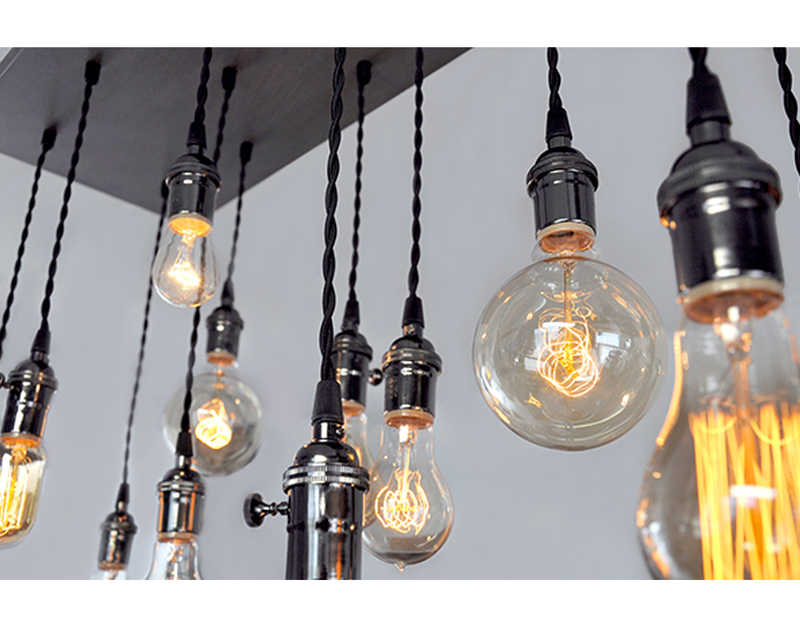 A combination of Edison bulbs in different shapes and sizes will create a moody elegance to illuminate your dining room or kitchen. Each of the bulbs are dimmable and included as shown. You can design this chandelier and SEE THE LIGHT™ with our custom selection tool. Choose from a wide range of finish, socket, cord, and bulb options. Bulb: Edison mix (dimmable) Watts: 210-250w. 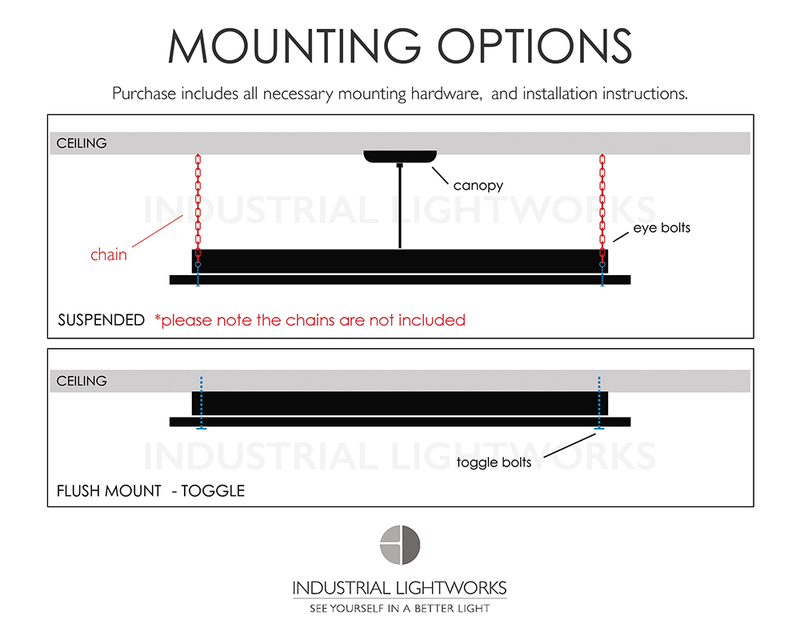 Choose from either Suspended, or Flush mounting. This fixture comes with 5' of connection cord, and is ready to install with all of the necessary hardware. The chandelier does NOT include the chains to suspend the fixture.